On Monday, November 14, Ron Howard and his partner Brian Grazer bring Mars, a new National Geographic Channel mini-series to TV. The six-part special is half sci-fi flick, half documentary in a fictionalized version of man’s first trip to the Red Planet in 2033. The dramatic sequences are directed by Everado Gout, while the doc part of the film features interviews with Elon Musk, Neil DeGrasse Tyson and other experts. In the dramatic portion of the series, a crew of astronauts sets out to explore the Red Planet in 2033. In the documentary pieces, viewers meet the people who are currently striving to explore the planet for real. It focuses mainly on Elon Musk (founder of Tesla) who’s company SpaceX is the forerunners in the mission to get to Mars by using inventive cost-saving new developments like re-usable rockets. The MediaMine archives include the official Hollywood Walk of Fame star ceremonies for Brian Grazer. 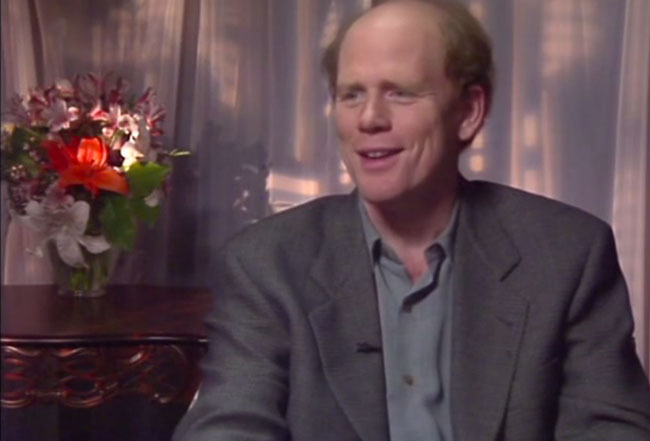 And Ron Howard, who actually has received two stars — one for Television and one for Film. In addition the MediaMine collection includes two interviews with Ron Howard, who sat down with celebrity journalist Reba Merrill for his early films Cinderella Man and The Missing. In this clip he talks about his journey to becoming a director.